The Times, Mail and Sun are among the publications that have covered Durham Constabulary’s drugs rehabilitation scheme, Checkpoint. Low-level drug dealers selling hard drugs to fund their own drug addiction will not go before court under the scheme, on the condition that they embark on a four month rehabilitation programme, the newspapers report. A Home Office statement in response to the scheme can be found below. This Government has no intention of decriminalising drugs. It is vital that the police and criminal justice system have a range of measures available to them to prevent drug use. However, they also have the tools to deal robustly with serious and repeat offenders who cause the most harm in our communities. The Mail has covered the case of Lauri Love, who is facing extradition to the US on suspicion of hacking. The paper reports that more than 70 MPs have written to the Attorney General Jeremy Wright 'demanding' he raises the case with the US authorities. The case is subject to an appeal in the High Court and a hearing is expected to take place later this month. Mr Love is appealing against the District Judge's decision that the bars to extradition do not apply in this case. Following the high-profile extradition case of Gary McKinnon, Parliament approved a change in the law in 2013 recognising that the courts are best placed to consider human rights issues. As a result, the Home Secretary cannot intervene on human rights issues. A Government statement can be found below. More information about extradition and the appeals process can be found on Gov.uk. It is for a judge to decide on extradition cases and Mr Love’s appeal will be heard by the High Court later this month. As this is an ongoing case it would not be appropriate to comment further. The Guardian incorrectly reports that the Home Office is struggling to recruit staff to register EU nationals. In Liverpool, where European casework is processed, there is an extremely high demand from the resident workforce for the roles advertised by the Home Office. There are 700 caseworkers already dealing with European cases and the Home Office is in the process of recruiting another 500 by next April. A Home Office statement can be found below. UK Visas and Immigration continues to perform efficiently and to high standards despite increasing demand for visas and immigration documents thanks to the increased digitisation of our processes. The Home Office recruits on merit, not nationality, and we strive to have a workforce that is reflective of the public we serve. 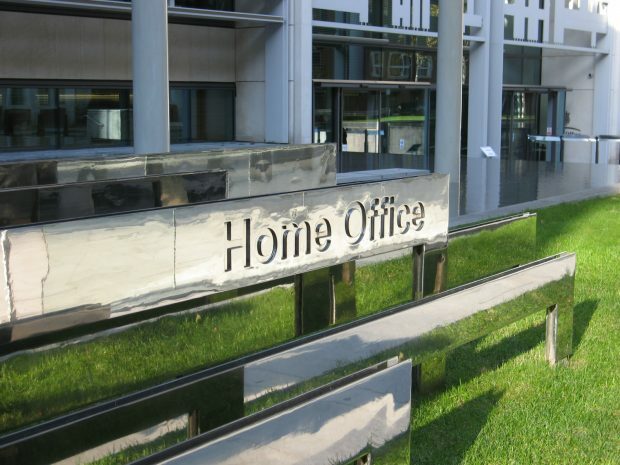 We’ve been clear that we want EU citizens living in the UK to stay and to continue playing their important part in our culture, communities and companies, including here at the Home Office. Applying for settled status will be a streamlined, low-cost, digital process and we will have the workforce required to continue delivering a high-quality service for customers.